Tafsir al Kabir (“The Great Interpretation”) by Muqatil ibn Sulayman ibn Bashir al Balkhi (80-150AH). Mafatih Al-Ghayb (“The Keys to Unseen”) by Fakhr al-Din al-Razi 606H. Tafsir Quran Al Kareem by ibn Kathir 774H. Tanwir al-Miqbas (“Tafsir Ibn Abbas”) by Abd Allah ibn Abbas (d. 68/687). Irshad al ‘Aql as-Salim ila Mazaya al-Qur’an al-Karim also known as Tafsir Abi Sa’ud.by Abdul Su’sud Al-Imadi 911H. Ahkam al-Qur’an (‘The Commands of the Quran’) by al-Jassas (d. 370AH/981CE). Based on the legal rulings of the Hanafi school of Islamic law. This was published in three volumes and remains popular amongst the Hanafis of India, the Middle East and Turkey. Anwar al-Tanzil’ also known as Tafsir al-Baidawi by Abdullah bin Umar al-Baidawi 685H (In Turkey it is often published with marginal notes by a Turkish scholar called ‘al-Qunawi’ in seven volumes). Maariful Quran by Muhammad Shafi Usmani. Translated from Urdu to English. Tafhim-ul-Quran by Abul A’la Maududi. One of the popular modern exegeses translated from Urdu by Zafar Ishaq Ansari. 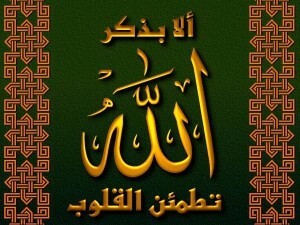 Tafhim is a combination of orthodox and modernist interpretation and has influenced modern Islamic thought very deeply. Available online. Tafsir Ishraq Al-Ma’ani by Syed Iqbal Zaheer. Ruh al-Bayan fi Tafsir al Quran by Ismail Hakki Bursevi 1127H. (A ten-volume Arabic work by the founder of the Hakkiyye Jelveti Sufi Order from Turkey). 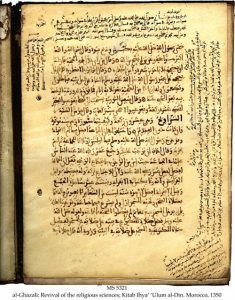 Al-bahr al-Madeed also known as Tafsir ibn Ujaiba by Ahmad ibn Ujaiba 1224H (a two-volume work by a Moroccan Sheikh of the Darqarwi branch of the Shadhili Order of Sufism). 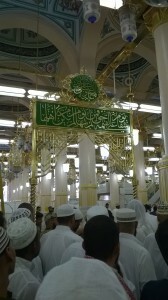 Israr-ut-Tanzeel by Ameer Muhammad Akram Awan. Bayan al-Sa‘ada (19th century) by Sufi Sultan Alishah. Tafsir-e-Usmani by Allama Shabbir Ahmad Usmani. Bayan ul Quran by Maulana Ashraf Ali Thanvi. Maariful Quran by Allama Muhammad Idris Kandhelwi. Tafsir Jawahir ul Quran by Shaikhul Quran Maulana Ghulamullah Khan. Tafsir Ahsanul Bayan by Hafiz Saluhuddin Yusuf. 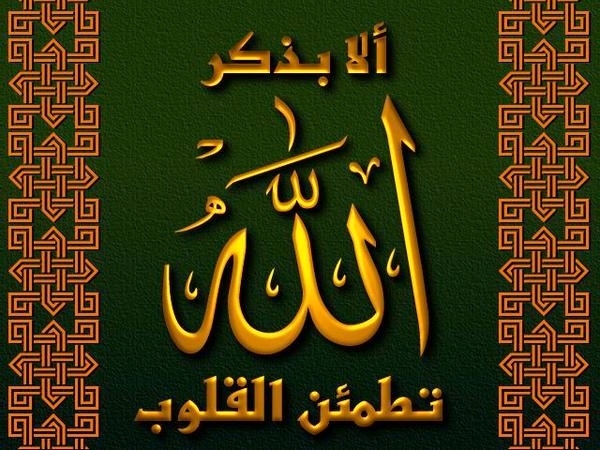 The interpretation is not long but efficient, and stress is on monotheism. Fuyuooz-ul-Quran (‘Benevolences of Quran’)(two volumes), by Syed Hamid Hasan Bilgrami. Tibyān al-Qur’ān (twelve volumes) by ‘Allamah Ghulam Rasul Sa’idi. Diya’ al-Qur’an (five volumes) by Pir Muhammad Karam Shah al-Azhari. Nur al-‘Irfan by Mufti Ahmad Yar Khan Na’imi. Tafsir al-Qur’an by Mufti Sayyid Na’im al-Din Muradabadi. Tafsir Ya’ayyuhalladina Amanu( two Volumes) by Allamah Syed Sa’adat ‘Ali Qadari. Tafsir Na’imi (30 volumes) by Mufti Ahmad Yar Khan Na’imi. Ahkam al-Qur’an by Abu Bakr ibn al-Arabi (d.543AH/1148CE). The author is also known as ‘Qadi ibn al-Arabi’ (ibn Arabi, the judge) to distinguish him from the famous Sufi Ibn Arabi. Zad al-Masir fi Ilm al-Tafsir by the great Hanbali polymath Abu’l-Faraj ibn al-Jawzi (d. 597AH). Tafsir Imam Ja’far al-Sadiq by Ja’far al-Sadiq (83-148AH). Tafsir Furat Kufi (9th-10th Century CE) by Furat Ibn Furat Ibn Ibrahim al-Kufi. Tafsir Shobar (19th century) by Seyyed Abdullah Alavi Hosseini Mosavi. Tafsir Rahnama (1976–present) by Akbar H. Rafsanjani. Al-Kashshaaf (‘The Revealer’) by Al-Zamakhshari (d. 1144CE). Al-Zamakhshari belonged to the Mu’tazili school of theology, but nevertheless this commentary has been popular among scholars down the years, and is usually printed along with Sunni commentaries, pointing out what they consider to be mistakes, made because of the author’s Mu’tazili beliefs. Tafsir al Quran by Mohammed al-Ghazali (1917–1996), a contemporary Egyptian scholar not to be confused with Imam al-Ghazali. Risale-i Nur by Said Nursî (1878-1960). This work, originally in Turkish is translated into 52 languages. Tafsir Al-Jufrie Baina Tafwidh Wa Ta’wil by Al-Habib Muhammad Ridwan Al-Jufrie.